One of the key selling points of the Canon EOS R mirrorless camera is its backwards compatibility with Canon's vast range of EF lenses - 130 million produced so far and counting - not to mention 3rd-party lenses from the likes of Sigma and Tamron. This backwards compatibility is made possible by the new Canon EF-EOS R mount adapter. 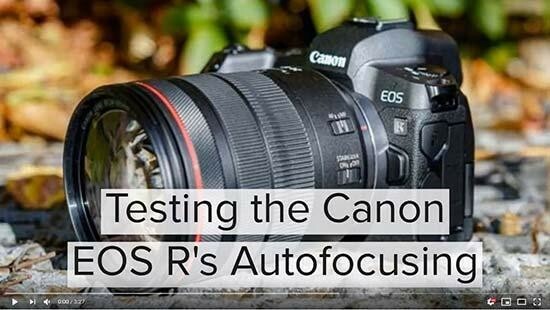 So we've tested out the autofocusing system of the Canon EOS R mirrorless camera, firstly with the RF 24-105mm f/4 kit lens and then with a wide variety of EF lenses. You can see exactly how quickly and accurately each lens auto-focuses on the EOS R in the video above.